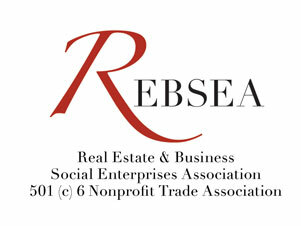 How Nonprofit Members can get the most benefit from your REBSEA Membership? REBSEA was created for one purpose and that is to direct donations to Nonprofit Organizations from the business community. Our approach is not only innovative, it also represents a growing movement to fundamentally change our approach to how we support NPOs in our communities. There are plenty of people who would like to support your mission if only they knew about your organization and knew that they could direct donations to you simply by choosing who they do business with. Imagine a Directory available to the public that listed all of the businesses and professionals in your community who donate to NPOs from their commissions or income and your organization was listed as a Member with a profile that explains what you do and what your needs are. Well, that is what REBSEA is creating step by step and we need your help every bit as much as you need ours. We can collaborate in this new and innovative way and you can receive 100% of each donation with absolutely no fundraising expense to you. 1) Reach out to all of your donors and supporters and inform them that you have joined REBSEA. Explain to them that anytime they, or anybody they know, is buying or selling real estate or seeking financing or insurance, that if they choose to work with a REBSEA Business Member that they can be assured that a donation will be made and it will cost them nothing. Remind them of this fact repeatedly until it has become a part of your fundraising program. 2) Add information about REBSEA to your website, newsletters, Facebook page, or any of your outreach efforts and make REBSEA a part of your ongoing fundraising program. Invite your local REBSEA Member(s) to your events and introduce them to your supporters. 3) If you do not have a REBSEA Business Member in your location let us know and together we will find one interested in supporting your organization. You can start by reaching out to your supporters and asking if there are any Realtors, lenders, insurance agents, or any other businesses that are interested in joining REBSEA as a way to direct donations to your organization. If we make this effort we will get results. 4) If you log in to the REBSEA website using your password you will see 'a member only' tab called Member Resources. You will find our logo and banner to use, templates for letters you can email to your supporters, and a template for a press release (along with instructions). You have our permission to use any information on our website to use in any way you choose to create your own outreach materials. 5) If you have an upcoming event supporting a cause we can blog it to our extensive social media network and database. If you have a video about your organization we can add it to our promotional material for greater exposure. If you would like to write an article about your organization we can blog it as a Featured Member and add it permanently to our website. 6) Finally, share your ideas and insights with us so that together we can grow this relationship into one that benefits your organization. Our resources are at your disposal. 1) We have spent a great deal of time and effort to create a formidable social media network of socially responsible consumers. These people are very enthusiastic about our program and interested in participating as consumers when they have the opportunity to do so. We have their attention and we are now in a position to reach out to them and introduce them to all of our REBSEA members, both Businesses Members and NPO Members worthy of their help. 2) We are continuously upgrading our infrastructure in order to reach an increasing audience. We just completed transitioning to a new website that is friendly to mobile phones and all devices. We are building a custom website that when completed will add additional features focused on again increasing our audience among the public. 3) We are collaborating with an increasing number of organizations and individuals capable of again increasing our ability to get our message across to the public and tell them about YOU. When good people get together, GREAT things can happen ! !